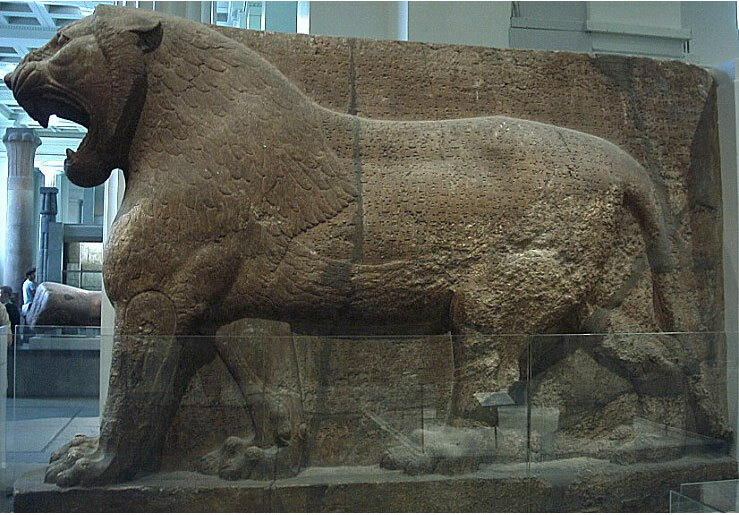 This miniature replica is of the Colossal Lion of Assyria, from the temple of Ninurta discovered at the site of ancient Nimrud during the reign of Ashurnasirpal II (883-859 BC). The original is located at the British Museum. 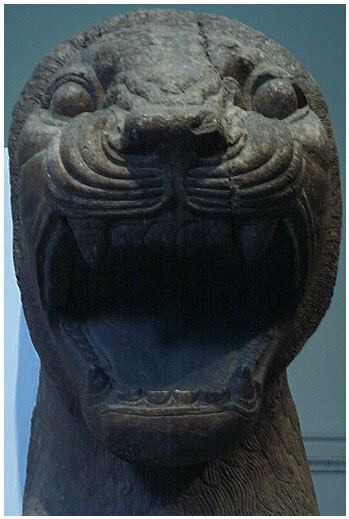 This gigantic standing lion, roaring angrily, formed one of a pair carved half in the round which once flanked the entrance of a small temple dedicated to the goddess Ishtar, adjoining the palace of King Ashurnasirpal II (reigned 883-859 BC). The temple was excavated by Henry Layard in 1849. 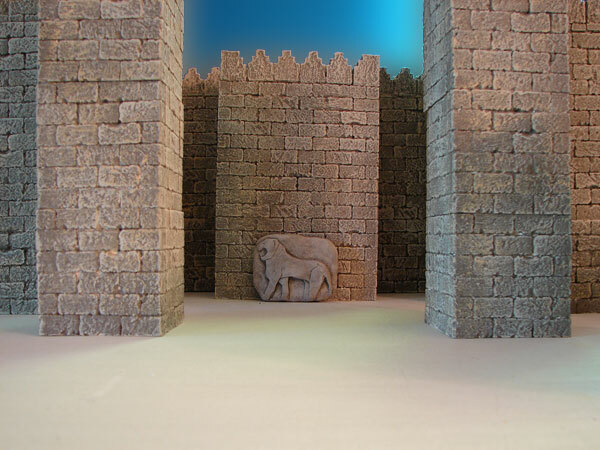 The placing of figures of lions beside the doors of temples or the gates of cities was an ancient custom in Mesopotamia. Actual lions were common in the region and survived there until the nineteenth century. The fifth leg is an artistic convention to enable the figure to be seen either from the side, walking, or from the front, standing. Compare this with the colossal statue of a winged human-headed bull from the palace of Ashurnasirpal II, also in the British Museum. 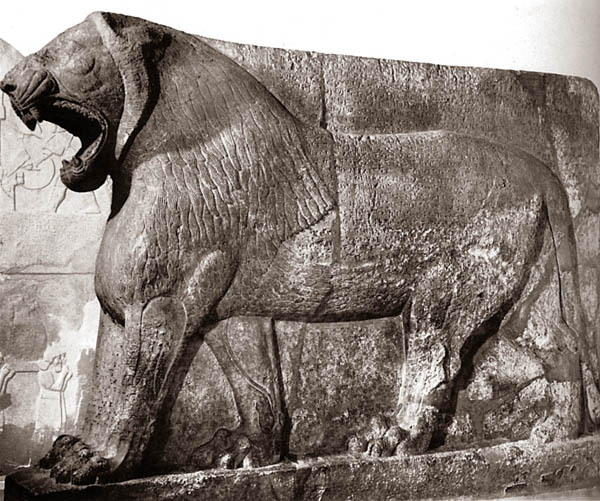 The lion is covered with a dedication in cuneiform, consisting of a prayer by Ashurnasirpal to a version of Ishtar called Sharrat-niphi, followed by a record of some of his achievements. Ishtar was one of the most important deities of Assyria. 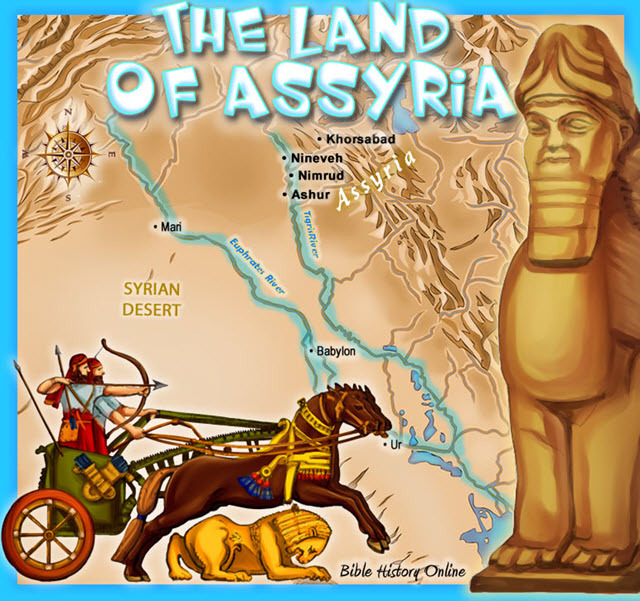 Here main cult centres were at Nineveh and Arbela. The lioness was her symbol as the goddess of fertility and warfare.